The fine under feathers of a goose known as "down" are used to fill such things as comforters and winter jackets. Goose down makes your jacket or clothing warm, soft and comfortable. But when the goose down becomes wet it can cause your clothing to smell. The stale, musty smell isn't something you want to walk around with or have transfer to other clothing. You can get the smell out of goose down clothing and prevent it from reoccurring with the right supplies and techniques. 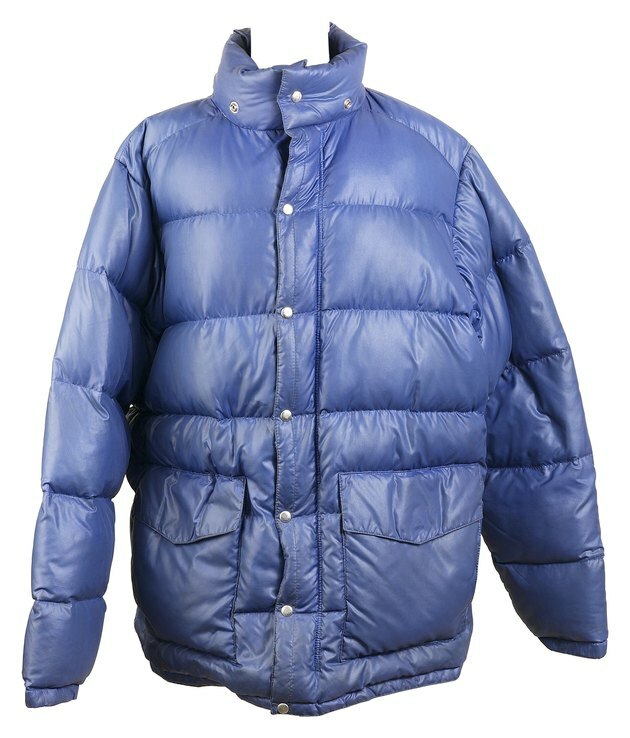 Quilted, goose down jackets keep the chill away from your body. Drape your goose down-filled clothing over a drying rack, if it's wet, and allow it to air-dry outdoors or near an open window. If mold spores or odor are present, air-dry the clothing in direct sunlight. Launder your goose down-filled clothing in the washing machine with warm water. Add mild detergent to the wash cycle to clean the clothing. Pour 1 cup of white vinegar into the rinse water to deodorize the garment. 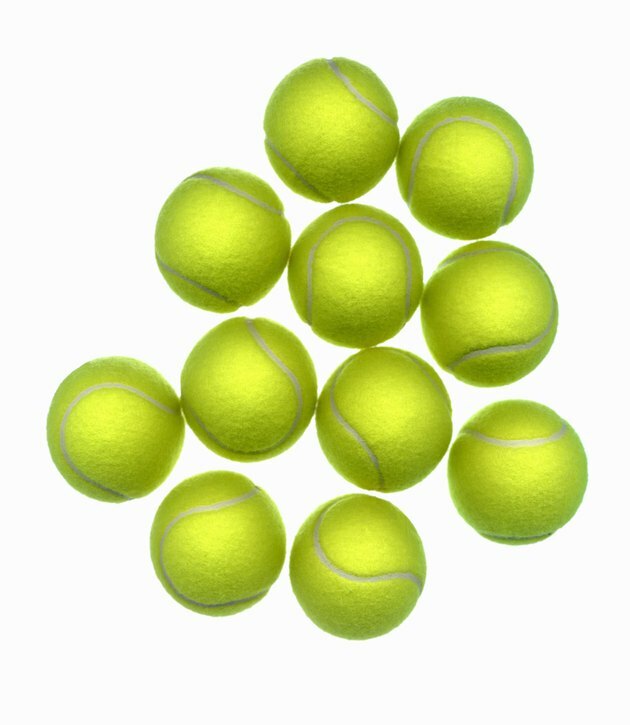 Tennis balls prevent non-quilted down garments from becoming lumpy. Remove the down clothing from the washing machine promptly. Place it in the dryer. Add two towels to absorb moisture and two or three unused tennis balls to fluff the down during the dryer cycle and prevent it from lumping in one area. Position the drying rack in a sunny location. Lay the down-filled clothing over the top of the drying rack to distribute the weight evenly. 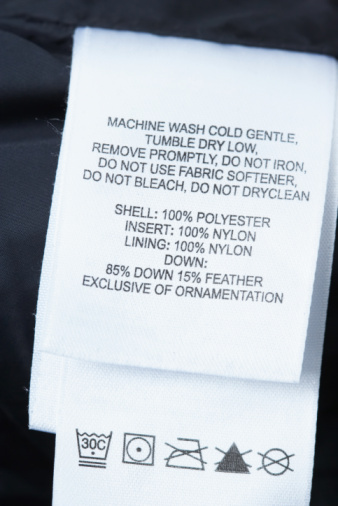 Air-dry your goose down-filled clothing completely. Turn the garment over to ensure both sides are completely dry. Hang your down clothing on a padded hanger and store in a dry location to prevent moisture absorption.